Kava is a plant native to the Pacific Islands. Formally called Piper methysticum, it has long been used for medicinal and spiritual purposes. However, many suffer from kava addiction. Does Kava Have Health Benefits? Is Kava Legal In The US? What Are The Kava Bars? Can One Use Kava While Pregnant And Breastfeeding? Does Kava Help In Addiction Treatment? What Are The Signs Of Kava Abuse And Addiction? How Is Kava Addiction Treated? Many have heard the name but are not clear on what Kava is. It is a crop initially cultivated in the Pacific Islands. The plant goes by many different names, as there are numerous languages throughout the Pacific Islands. Kava-kava is the most commonly used. Others include awa, ava, yaqona, and sakau. Hawaiian kava and other strains are known to produce a sedative effect and are considered central nervous system depressants. Historically, Pacific Island cultures have used the root of the awa plant as a sedative and anesthetic, as well as utilizing its euphoriant properties in spiritual ceremonies and social settings. Now, those in other cultures who know what kava does use it to relieve conditions such as anxiety and insomnia. However, many engaging in kava kava usage do so strictly to get high. Many users believe that kava benefits their health. This claim is quite common, with many kava supplements stating it as fact. But do the studies back this up? Yes and no. Studies have shown that there are kava kava benefits. For example, it has been shown to treat anxiety and stress in humans and convulsions in animals. But many argue that the benefits of kava do not outweigh the risks. Despite this, kava-kava is becoming more and more widely used. In many cases, people start using it because of the supposed kava tea benefits without knowing the risks. It is important that people fully research kava pills and teas before they use them. It is common for users to question if kava is legal in the U.S. The answer is yes: there is legal kava usage in the United States. It is often sold as a dietary supplement, and the FDA has issued guidelines for safe usage of the plant. However, in other countries, the use of awa has been greatly restricted. The DEA has also publicly noted that it considers getting high on kava to be illicit use. 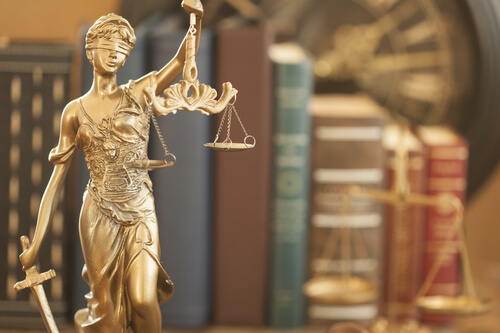 Still, there are no federal laws that allow for prosecuting those who use, buy, sell, or use kava drugs, drinks, and other formulations. For most users in the U.S., where to buy kava is the local health and supplement store. Over the past decade, kava bars have come into vogue in larger U.S. cities, often with the bars advertising various kava root benefits to draw patrons in. Because what kava tastes like is not traditionally palatable to Americans, these bars tend to dress up the supplement with tropical fruit juices and other items, including chocolate. These bars tend to approach how to make kava slightly differently from their competition, allowing them to distinguish themselves and gain a dedicated following. While what makes for the best kava kava is subjective, most users prefer concoctions that mask the naturally bitter flavor of the root. Because awa has been proven to have health benefits and is legal to use, it is easy to assume kava kava supplements and other items are safe. However, the medical community considers this to be up for debate. Kava side effects range from the desired relaxation to liver damage. It is this link to liver damage that has resulted in the most significant concern, with many countries opting to restrict or even ban awa because of it. Even in the U.S. where it is legal, it is suggested that people carefully limit their use to reduce risk. One reason use can be problematic is that kava interactions can increase the risk of damage to the liver and other organs. Because it is a legal supplement, people often do not consider how it can interact with other substances, and since it is frequently used to get high, many combine it with alcoholic drinks. This combination, and many others can result in long-term health consequences. When women are pregnant or breastfeeding, they are often told to be cautious with pharmaceuticals. This leads them to assume that anything natural is safe while they are pregnant and when they are breastfeeding. However, many natural medications and supplements are more dangerous than their pharmaceutical counterparts, and awa is among them. Awa can be passed to the fetus while in the womb and through the milk to the baby. A mother does not need to take the strongest kava for this to be risky; any dosage is considered unsafe. The kava dosage to get high is much less for a baby than it is for an adult, and given the risk of liver damage, women should avoid using awa until the baby is born and they are finished breastfeeding. In the field of addiction treatment, researchers are always looking for medications and supplements that can help users combat cravings for drugs, alcohol, and other substances. Some have started looking into awa as an anti-craving agent. Studies on the matter are limited, but they have shown a positive effect on cravings in addicts in supervised medical settings. While there is not widespread clinical use of awa as an anti-craving agent, many kava reviews online note that people use it as such. However, given that these individuals are using it for addiction treatment without medical supervision, it is not clear if they are treating their addiction or replacing it with a new one. Many consider it a path to relapse rather than an active form of treatment. Given that awa use is becoming more and more common and some are using it to treat addiction, it begs the question: is kava addictive? Kava addiction has to be looked at from two perspectives: physical addiction and psychological addiction. One means that the body physically craves the drug while the other means that a user may feel an attachment to its use that drives them to abuse the supplement. Kava addicts tend to experience psychological addiction more so than physical dependence. When someone is physically addicted to a substance, their body adapts to its presence and experiences withdrawals in its absence, craving the drug almost as if it were a means of survival. Overall, awa is not considered to be physically addictive, but studies on the matter are limited, and this consensus could change. Some users report symptoms when stopping heavy and consistent use that line up with withdrawal from drugs, including sweating, abdominal pain, and muscle pain. Ultimately, kava effects differ from user to user, and physical addiction is within the realm of possibility. Kava users can experience psychological addiction. Because the supplement produces a high that can be used as a means of escapism or self-medicating, users can feel attached to the drug and the way it makes them feel. Awa addicts may want to stop using the drug but fear what life will be like without it or find themselves preoccupied with thoughts of using or obtaining the drug. This is especially risky in those using kava to treat other addictions, as it sets them up for relapse. 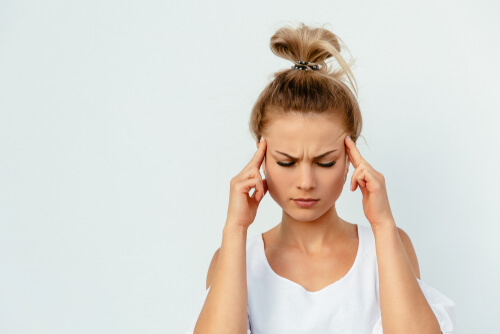 Because the effects of awa are mild when compared to other drugs in its class, such as kratom and marijuana, it can be hard for loved ones to spot the signs of addiction, and equally difficult for users to see them in themselves. 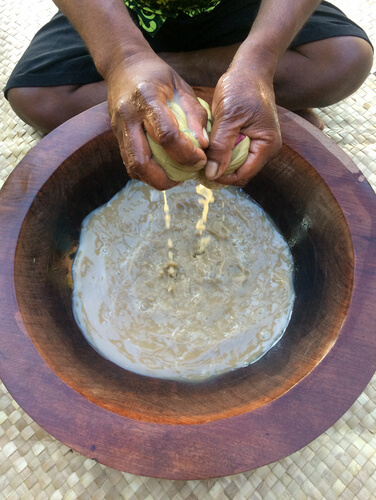 Signs of kava abuse and addiction can be broken down into three categories: physical, psychological, and social. The treatment of kava addiction is pretty straightforward, and since physical addiction is rare, often easier than correcting dependence on other drugs. Therapy focuses on helping users develop the skills they need to say no to awa use going forward and getting them to identify what drove their use in the first place. If the kava addiction began because the user was relying on it to manage another addiction, the treatment process would be more complicated. However, it is possible to end the addiction to both substances and get the user into recovery. There are thousands of rehabilitation centers across the United States who can help addicts get and stay clean. 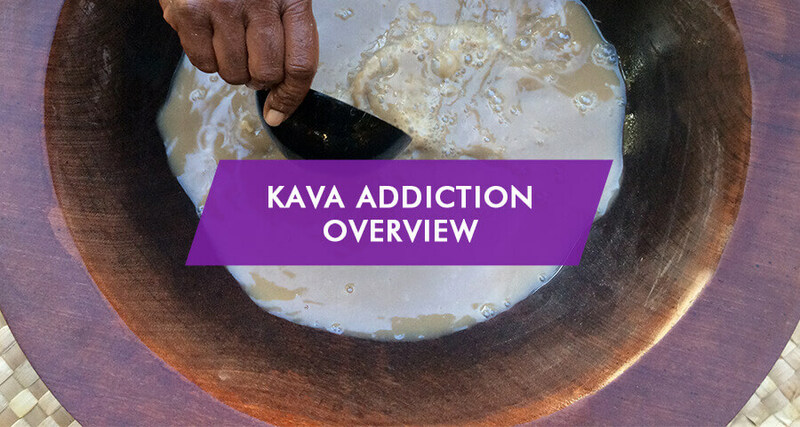 While it is marketed as a safe and natural high, kava has the potential for abuse and addiction. Given its negative health effects, anyone who is craving the drug should seek help. The sooner treatment is sought, the less likely it is that there will be long-term consequences.